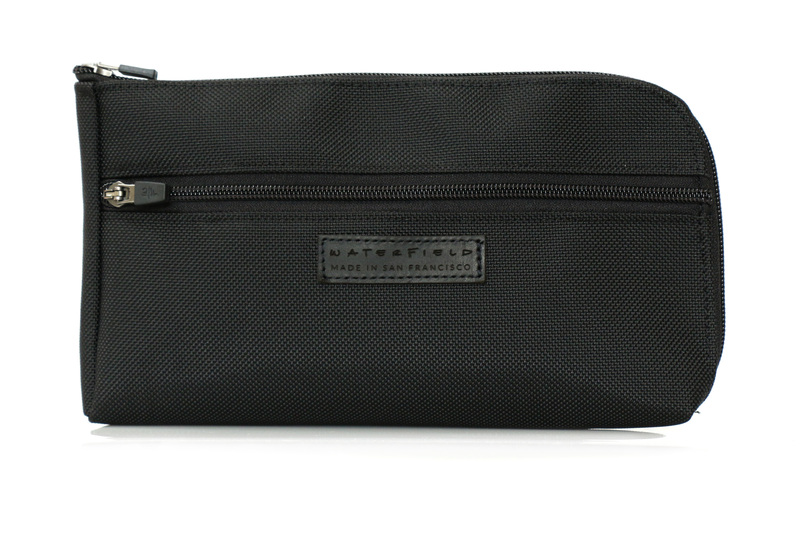 WaterField Designs unveils the Made-in-USA, waxed-canvas or ballistic nylon Gear Pouch in three sizes to handsomely organize tech, travel or personal gear. 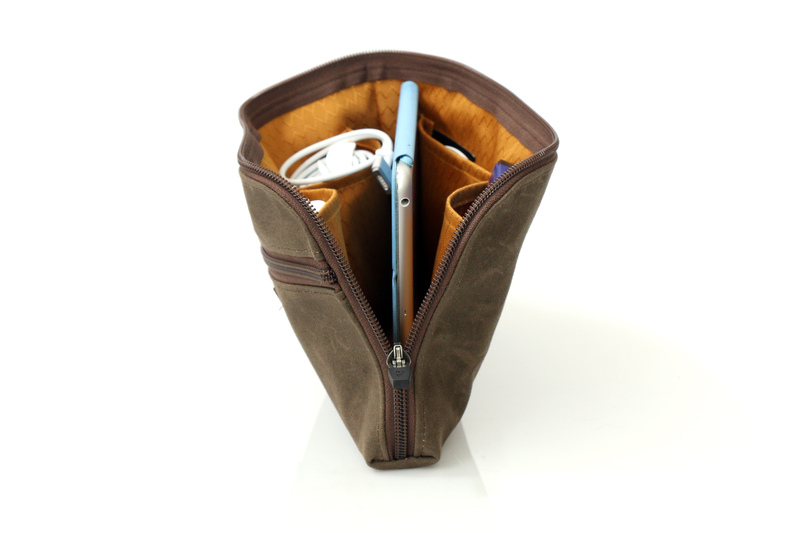 Internal pockets keep accessories organized, and a bright nylon liner make contents easy to find. 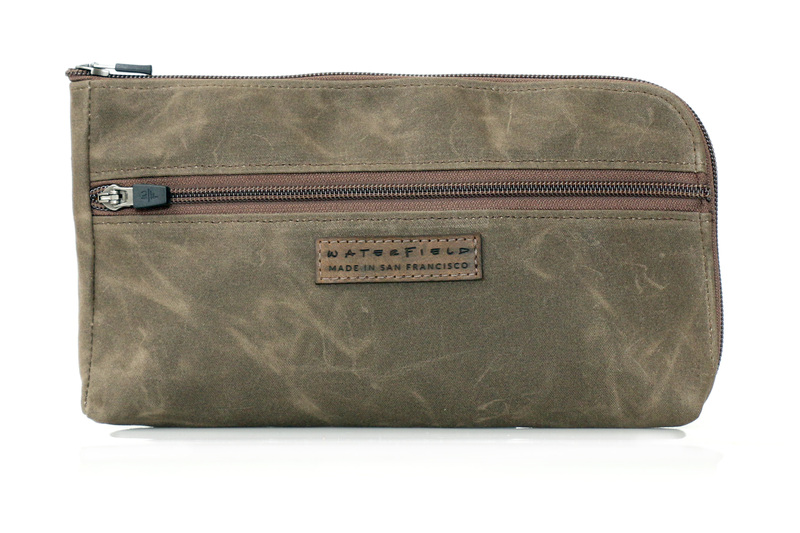 We’ve essentially maintained the best features of each of our previous pouches and added lining and an upgraded look to create a really great new accessory pouch. 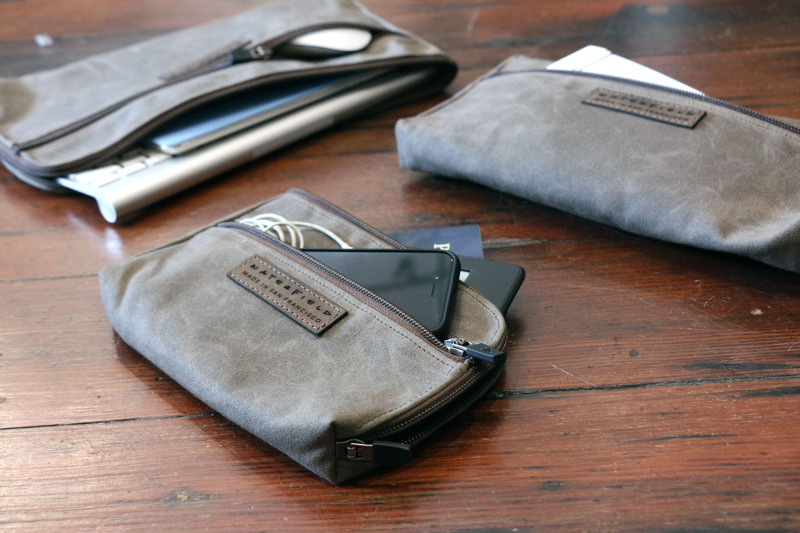 San Francisco manufacturer, WaterField Designs, announces their newly upgraded Gear Pouch, designed for the busy professional to easily stash and organize everything from tech or personal items to travel documents. Three sizes and four color choices allow users to organize all kinds of gear and to quickly identify contents. 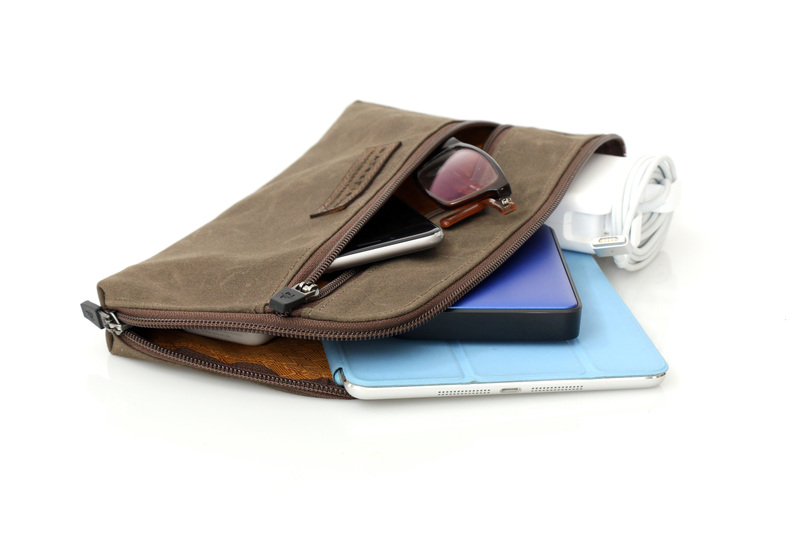 Compact and light, the Gear Pouch remains thin for easy packing, even when fully stuffed. 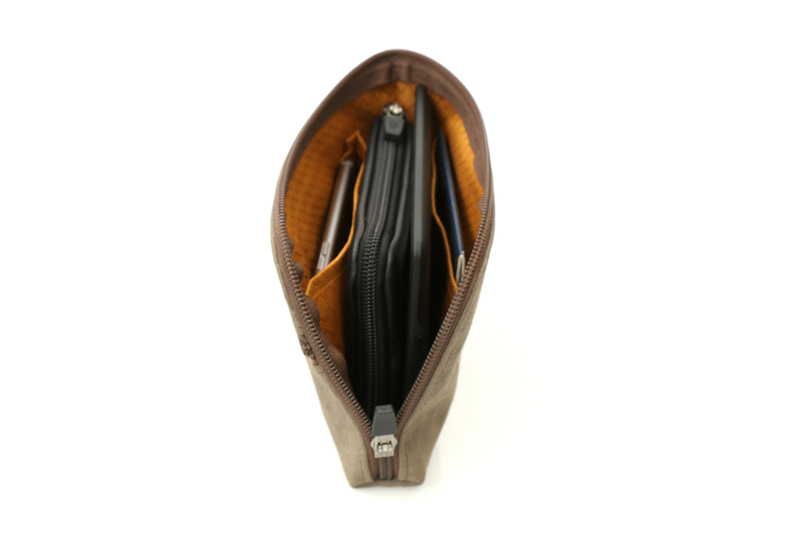 Each size of the new Gear Pouch features one main compartment with several internal pockets and an additional front pocket. 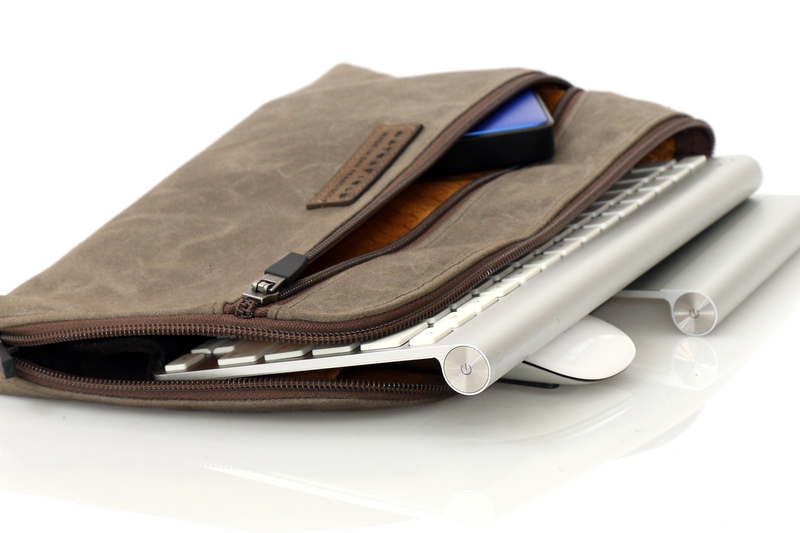 An Apple KeyBoard along with a mouse and power supply fit well into the large pouch. 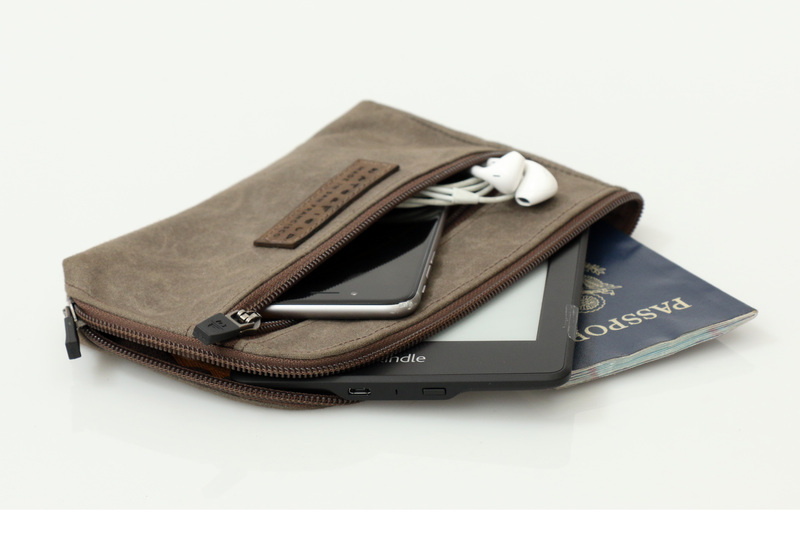 The medium is for great tech accessories or for travel documents, keys, sunglasses, a travel guide and a smartphone. 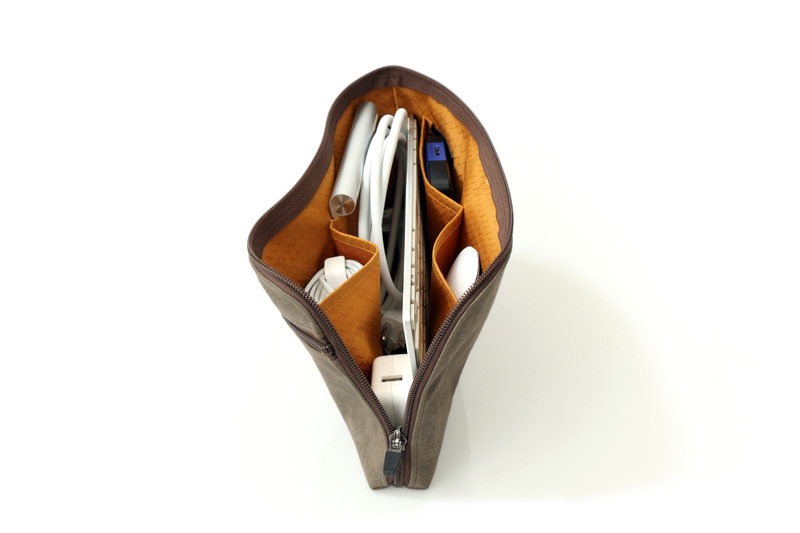 The small fits a hard drive or makes a convenient travel wallet. 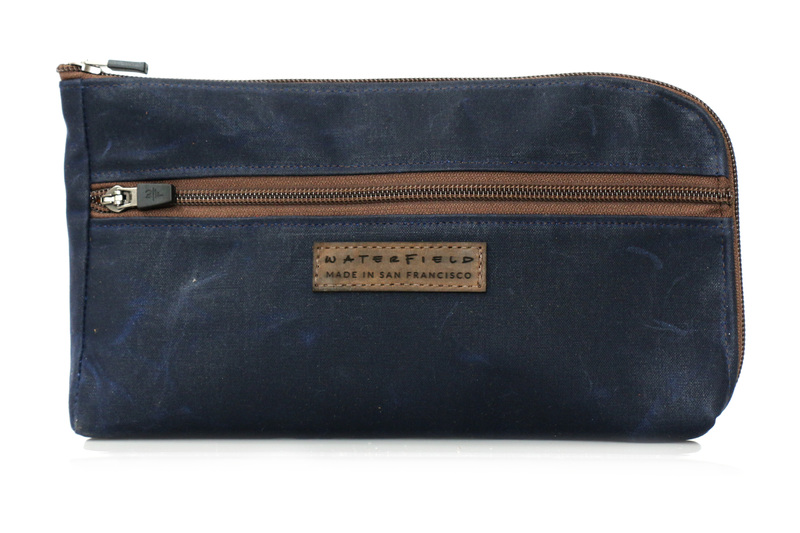 WaterField Designs, an innovative leader in custom laptop sleeves and designer bags and cases for digital gear, handcrafts all products entirely in San Francisco. 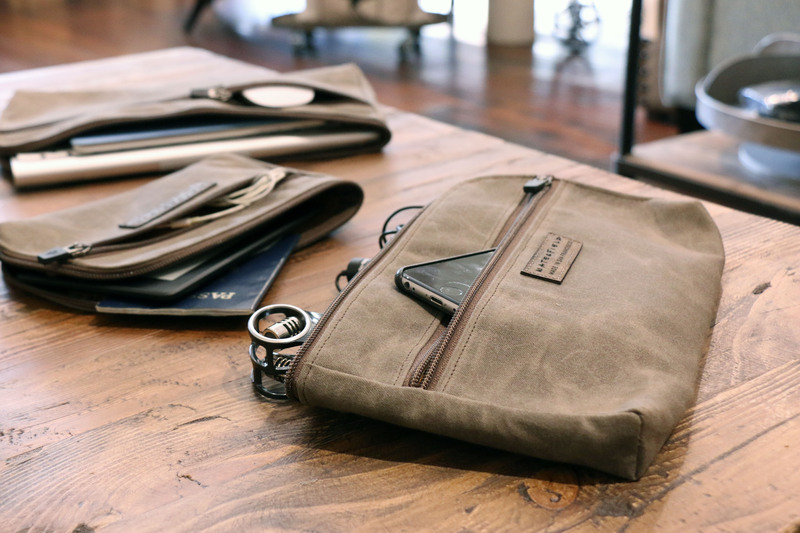 The Gear Pouch can be mixed and matched with other WaterField favorites including the new Bolt Briefcase, the Staad Laptop Backpack, the Rough Rider Leather Messenger, and the VertiGo vertical messenger bag. 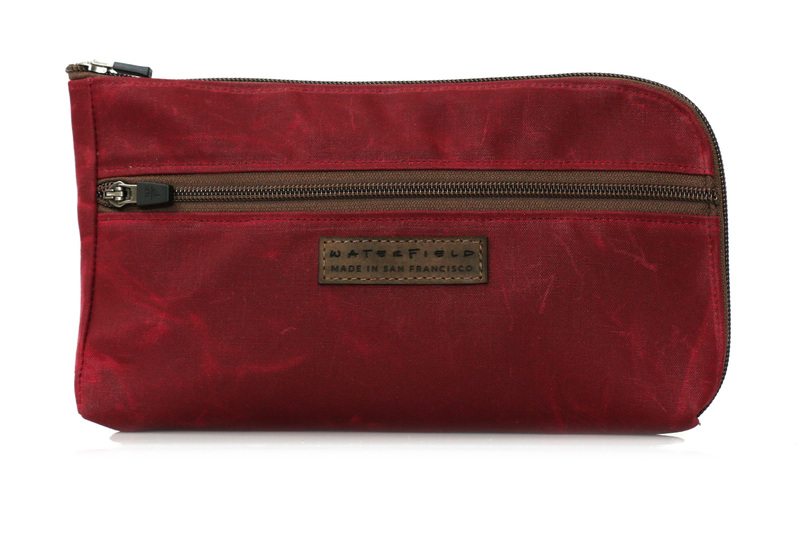 Colors and Materials: tan, navy or burgundy waxed-cotton canvas. Black ballistic nylon. Dimensions: Small—8 x 5.5 x .5 to 1 inches. Medium—11 x 6.5 x .5 to 1 inches. Large—12.5 x 7.5 x .5 to 1 inches. 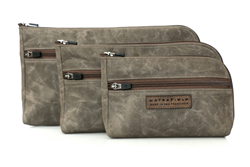 Shipping begins May 22, 2015, from the WaterField Designs online store.